Experience award-winning and epic productions that bring history to life. Our mission is to share the Bible story with those of all ages, of all faiths and none, through the presentation of high quality drama. 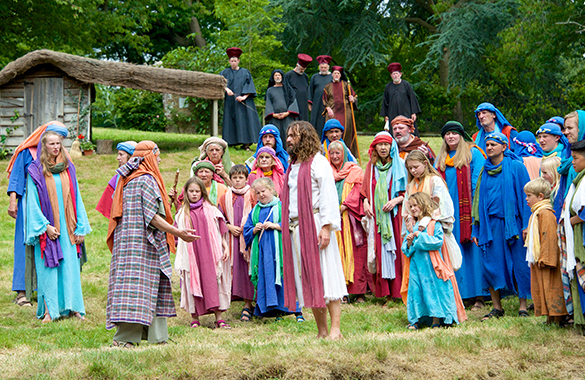 Staged open-air in the stunning Surrey countryside and in the heart of London and Guildford, our plays focus on the birth, life, death and resurrection of Jesus. Immerse yourself in the stories that shaped our world. Wintershall Education resources, inspired by ‘The Life of Christ’, are available to support excellence in RE teaching and learning, and Character Education in both Primary and Secondary Schools.